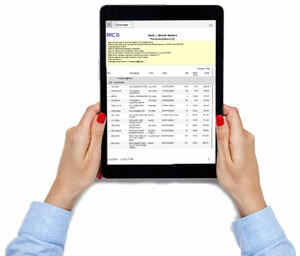 RICS Software, a POS and inventory management platform used by nearly 2,000 independent retail stores across North America, is introducing a new ground-breaking capability that connects retailers and brands. Starting in the footwear category, RICS will provide access to product catalogs from brands from right inside the RICS Back Office feature. No more hassling brands for catalogs, managing data in spreadsheets, and wasting time. RICS Software is on pace to have product catalogs from the brands that represent about half of the typical running specialty retailer by year’s end with more to come. For more information, please contact Keith Keokuk directly at 317-275-5941. Footwear and apparel retailers use RICS point-of-sale to sell in-store and online, build customer loyalty, and connect the sales floor to the stockroom. Order the right products that sell, automate the buying process, and assess store inventory in real-time. Flexibility to integrate RICS with other vendors through custom integrations, or benefit from existing partnerships with a robust list of trusted vendors. Dedicated, in-house support and on-boarding team leaves no question unanswered and serves as an extension of a retailer’s team. Make more informed business decisions. Get data needed in real-time to predict demand and analyze store performance.